An example of a newspaper article included in the media analysis. 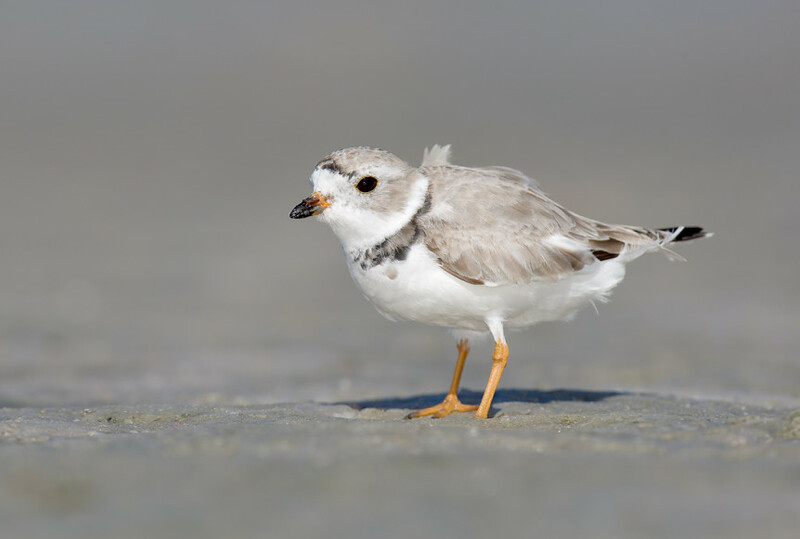 A new social science research paper on the media portrayal of piping plovers and their conservation on the Atlantic Coast of the US is now available from the journal “Oryx”. The study “Threatened Species Being Blamed: Media Portrayal of Human Wildlife Conflict” by researchers from Virginia Tech, Cornell Lab of Ornithology, and the US Fish and Wildlife Service presents findings characterizing the tone and framing of media coverage. The implications of the results for plover conservation efforts, and more broadly other endangered and threatened species conservation, are discussed. 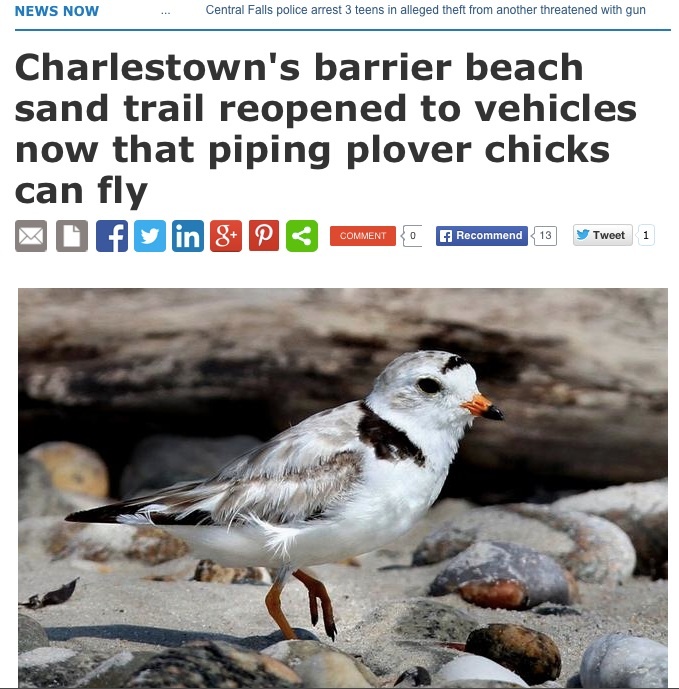 Media coverage of the piping plover on the Atlantic Coast is overwhelmingly positive or neutral/balanced. Presence of quote from a state government spokesperson was positively correlated with tone of articles; presence of a quote from non-USFWS federal government spokespeople was negatively correlated with tone of articles. (Note: correlations do not necessarily mean the quotes themselves had a certain tone nor that they caused a certain tone). Plovers themselves were blamed for conflict or management concerns in twice as many articles as agencies or regulations. No articles blamed the Endangered Species Act itself. Possible strategies to address this framing by the media of human-wildlife conflict due to a species’ status are discussed, including stakeholder engagement, conflict resolution, incentives, and strategic communications. See the Discussion section for more detail. More needs to be known about what drives the media and other stakeholders to blame listed wildlife and to what extent this media framing reflects the thoughts of these other stakeholders. The abstract for the article is below, and the link to the journal article is here. The article is open access and can be downloaded for the next 2 weeks at no cost. For more information on this research, contact corresponding author Dr. Ashley A. Dayer, Assistant Professor of Human Dimensions in the Department of Fish and Wildlife Conservation at Virginia Tech.